Order a Grand Sofa for the price of a Large Two Seater Sofa, or a Large Two Seater or Three Seater Sofa for the price of a Two Seater Sofa. This promotion is not applicable on motion models. 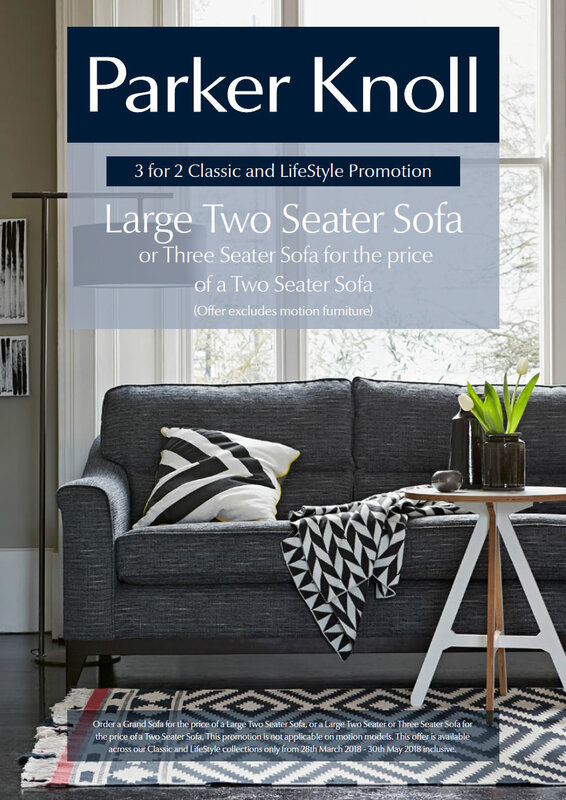 This offer is available across our Classic and LifeStyle collections only from 28th March 2018 – 30th May 2018 inclusive.